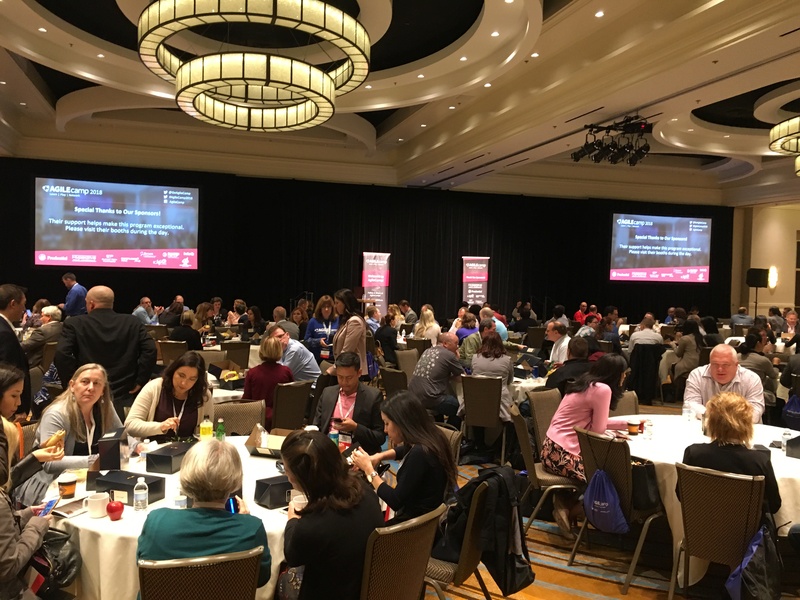 SAN FRANCISCO, October 2, 2018 – AgileCamp announced today that the International Consortium for Agile (ICAgile) has been named the Official Education Partner for its 2018 AgileCamp conference series. ICAgile, a global agile accreditation and certification body, has accredited a new public course presented by Hyperdrive Agile Leadership, a Silicon Valley-based training and advisory firm, and taught by Toyota Connected Chief of Agile Nigel Thurlow. The ICAgile accredited public course, called “Scrum: The Toyota Way,” will be held in concert with the upcoming AgileCamp Dallas-Fort Worth conference scheduled for Nov. 2, 2018, in Irving, Texas. We selected ICAgile as our educational partner based upon their outstanding reputation in the Agile community. We think the addition of new courses to be held in concert with AgileCamp will be of great value to our attendees. “We selected ICAgile as our educational partner based upon their outstanding reputation in the Agile community. We think the addition of new courses to be held in concert with AgileCamp will be of great value to our attendees,” said Stacey Louie, AgileCamp founder. The “Scrum: The Toyota Way” course will be held on Oct. 31-Nov. 1, 2018, in Plano, Texas, prior to the AgileCamp Dallas-Fort Worth conference. The course, which will be taught by Thurlow, will give students a rare glimpse into Toyota’s highly successful operating processes while providing an introduction to agile methodologies. “As one of the most successful practices in history, Toyota is well known for creating the Toyota Production System and establishing the ‘Toyota Way’ culture,” said Louie. The course, which is being debuted for the first time to the public, will be highly valuable to Agile students, he added. “To attend a class taught by Nigel, who is an internationally renowned Agile expert, is a once-in-a-lifetime opportunity,” Louie noted. Participants who successfully complete the class will be certified as ICAgile Certified Professionals in Agile Fundamentals. The class is open to all. Attending the conference is not a requirement for registration for the class, however, a discount combination package is available for those who attend both. To learn more and to register for the course and/or conference, visit https://www.eventbrite.com/e/scrum-the-toyota-way-tickets-48621019779. Founded in 2010, ICAgile (www.icagile.com) is a leading global agile accreditation and certification body that helps organizations design learning experiences that cultivate an agile mindset and enable sustainable organizational agility. ICAgile provides world-class learning tracks to guide organizations in the development of their curriculum. ICAgile’s approach is not tied to any specific agile methodology, thus giving people the flexibility to blend flavors in a way that make sense for their reality. Founded in 2009 and based in Silicon Valley, Hyperdrive Agile (www.hyperdriveagile.com) has nurtured enterprise-wide transformations for a range of small to large businesses. From startups to Fortune 100 companies, Hyperdrive helps clients take their Agile, Scrum and Lean endeavors to the next level. Clients have included: PayPal, Nike, LinkedIn, Genentech, Atlassian, Salesforce, Comcast, Prudential Financial, Capital One, Nike, Hewlett Packard, Cisco, eBay and Humana. Hyperdrive Agile is nationally certified as a Women’s Business Enterprise by the Astra Women’s Business Alliance, a regional certifying partner of the Women’s Business Enterprise National Council (WBENC). AgileCamp (www.agilecamp.org) is a high-impact, one-day forum for leaders of all levels to learn Agile skills and gain knowledge on effecting change within their enterprise. This year, the conferences — which will be held in four major U.S. cities — will feature more than 20 session tracks with session speakers representing major Fortune 500 companies such as Toyota Connected, Nike, Target, The Home Depot, Intel, Salesforce, Anthem and many more.